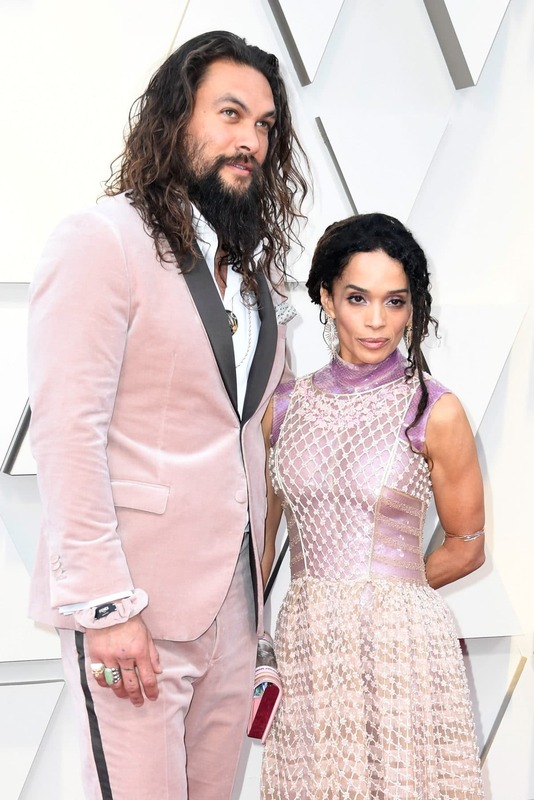 In their first appearance together on the famed Oscars red carpet, Lisa Bonet and Aquaman husband Jason Momoa color-coordinated their wardrobe by wearing elegant head-to-toe Fendi ensembles. 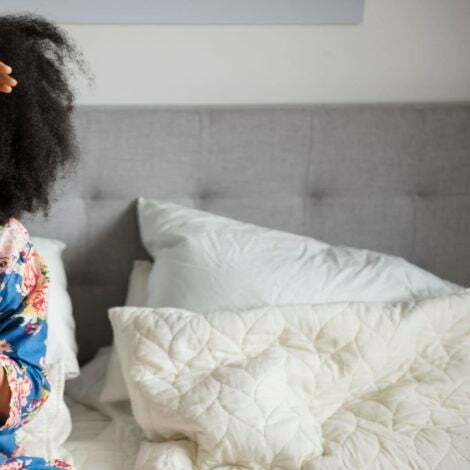 Interviewed on the red carpet by plus-size supermodel Ashley Graham, Bonet and Momoa shared that this was their very first time attending the Academy Awards. “It’s epic! 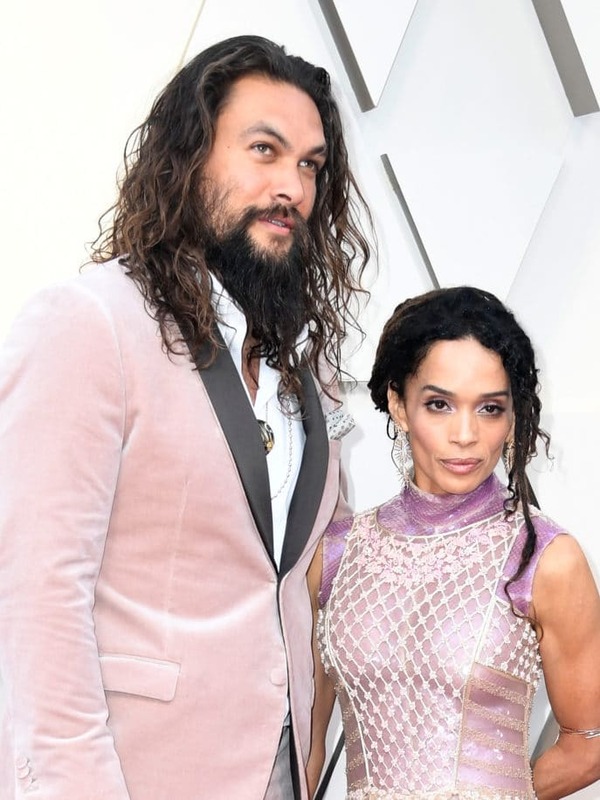 It’s our first time at the Oscars,” said Momoa. Eager to share who made their stunning attire for the ceremony, Bonet revealed that she had “the honor of wearing Karl Lagerfeld.” Acknowledging her beautifully embellished and beaded gown, she says, “This is from his last couture collection from Fendi.” A legend in the fashion world, Lagerfeld passed away this month and tons of stars mourned his loss online. 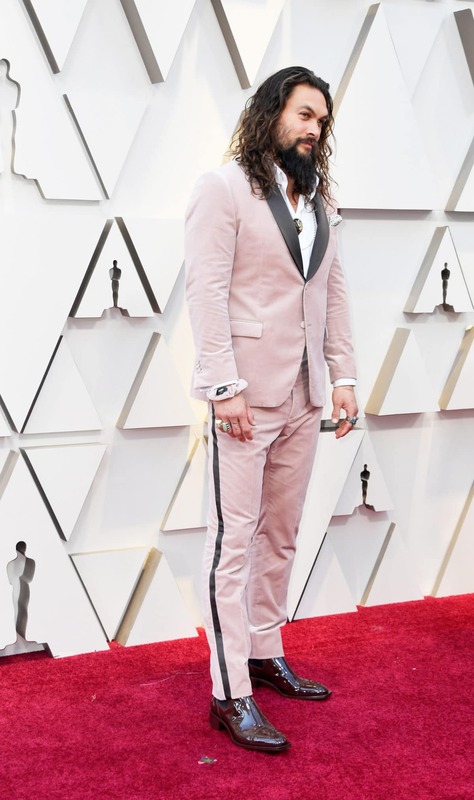 As for the man of the hour, hubby Jason Momoa—a presenter on the Oscars stage—beamed alongside Bonet. 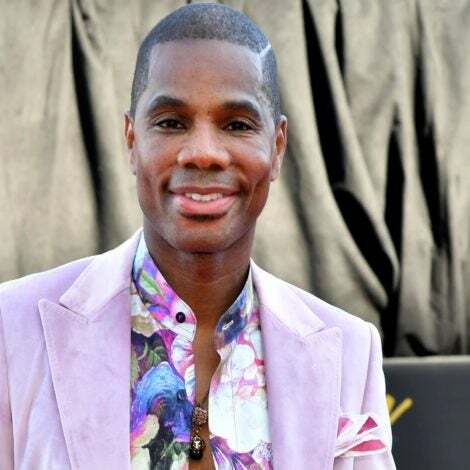 He wore a velvet “made to measure” tuxedo designed by Silvia Venturini Fendi (creative director of Fendi menswear, accessories and kids).